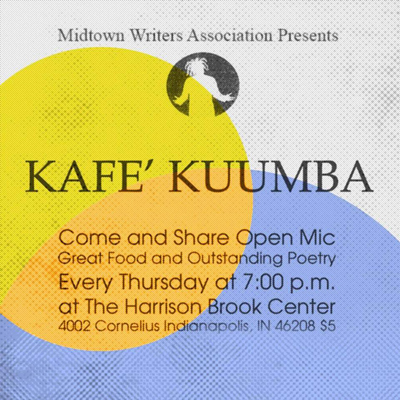 Join us for our monthly featured poet/open mike series that happens every 4th Tuesday of the month. 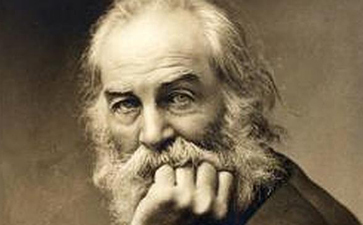 Our featured poet will be Walt Whitman! Norbert and Katherine Krapf will read from Norbert’s new book Walt Whitman Illuminated by The Message, in the ACTA Publications new series Literary Portals to Prayer which pairs passages from the work of time-tested authors with a recent Bible translation in contemporary American English. We will be discussing Underground Airlines with author Ben Winters (via phone conference). Everyone is welcome to attend. 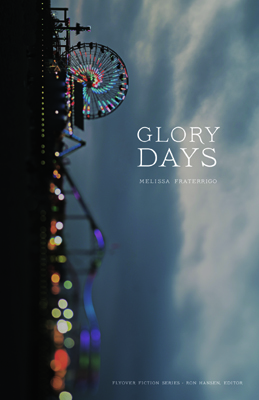 We welcome author Melissa Fraterrigo for the launch of her new book, Glory Days, a wonderful novel which revolves around the "Glory Days" amusement park in a small midwestern town. Melissa will be giving a reading at 7 pm followed by a brief Q & A period. 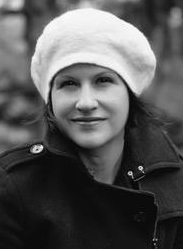 Christina Pugh is the author of four full-length books of poems: Perception(Four Way Books, forthcoming 2017); Grains of the Voice (Northwestern University Press, 2013); Restoration (TriQuarterly Books, 2008); and Rotary (Word Press, 2004); and the chapbook Gardening at Dusk (Wells College Press, 2002). Her poems have appeared in journals such as the Atlantic Monthly, Poetry magazine, TriQuarterly, Ploughshares, Kenyon Review, and in anthologies such as Poetry 180 (2003). Pugh earned a PhD in comparative literature from Harvard University, where she was awarded a Whiting Foundation dissertation fellowship. 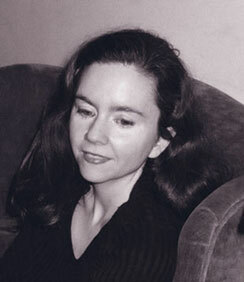 She continues to publish criticism as well as poetry, with scholarly interests centering on the poetics of ekphrasis, poetic form and meter, the lyric poem as a genre, and manuscript scholarship treating the work of Emily Dickinson. 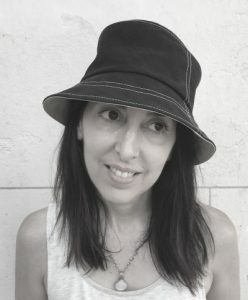 Pugh has received a Guggenheim Fellowship, the Word Press First Book Prize (for Rotary), the Ruth Lilly Poetry Fellowship, the Lucille Medwick Memorial Award from the Poetry Society of America, an individual artist fellowship in poetry from the Illinois Arts Council, the Associated Writing Programs’ Intro Journals Award, and the Grolier Poetry Prize. Pugh is consulting editor for Poetry and a professor in the Program for Writers (the PhD program in creative writing) at the University of Illinois at Chicago. Wednesday, September 27, 7:30 p.m.
Deb Olin Unferth is the author of four books, most recently the story collection Wait Till You See Me Dance. Her fiction and nonfiction appears in Harper’s, The Paris Review, Granta, Vice, Tin House, the New York Times, and McSweeney’s. She received four Pushcart Prizes, a Creative Capital grant, and was a finalist for the National Book Critics Circle Award. An associate professor at the University of Texas in Austin, she also runs a creative writing program at the John B. Connally Unit, a penitentiary in southern Texas. Kaveh Akbar born in Tehran, Iran, is an Iranian-American poet and scholar. He is the author of Calling a Wolf a Wolf, published by Alice James Books in the US and Penguin Books in the UK, and the chapbook, Portrait of the Alcoholic. In 2014, he founded the poetry interview website Divedapper. He received his MFA from Butler University, and his Ph.D. in Creative Writing from Florida State University. He is currently a Visiting Professor in the Purdue University MFA program. Will include a signed copy of our author Jon Parrish’s book Clusterf@#k! All proceeds will go to Indy Reads to help promote literacy in central Indiana. (Please note that this is a 21+ event, as all of the locations we are stopping at are bars. Though there is no requirement to drink, it is Indiana state law that no one under this age can enter these establishments). Guest Author: Jon Parrish, author of Clusterf@#k, will be at our first stop to talk to us about his work, possibly do a reading, talk about his creative process, and honestly say anything into the microphone that he’d like (we can be pretty loosey-goosey with the rules for our authors, since our group is 21+). Check out our Facebook page and follow us on Twitter @indylitpubcrawl. 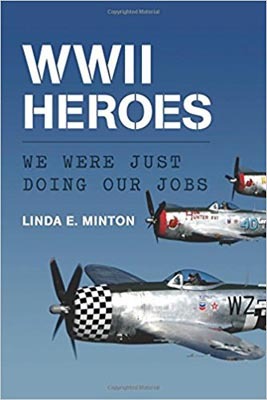 Linda Minton wrote her new book after interviewing 65 WWII veterans about their experiences during the war. Of the survivors, there are women from Pearl Harbor, USS Indianapolism, Evansville, IN, and other countries who worked in the war producing factories making war products during the war. Saturday, October 14 from 2:00-4:00 p.m. 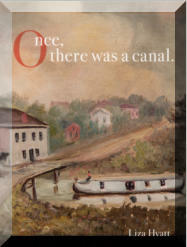 Please join me at a book launch celebrating the publication of my new collection of poetry—Once, There Was a Canal – released by Chatter House Press this fall. Feel free to bring friends. Once, There Was a Canal explores the lives of 19th century Irish immigrants to Indiana through narrative poetry in the voices of my great-great grandparents whose lives followed the path of the Wabash and Erie Canal. After I share with you a selection of poems, there will be time for questions and refreshments. 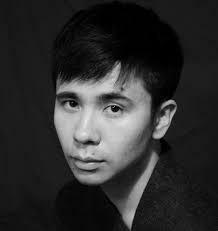 Vuong is the author of the best-selling Night Sky with Exit Wounds, which won the Whiting Award, was a finalist for the Kate Tufts Discovery award, and was a New York Times Top 10 Book of 2016. A Ruth Lilly fellow from the Poetry Foundation, he has received honors from the Lannan Foundation, the Civitella Ranieri Foundation, The Elizabeth George Foundation, The Academy of American Poets, and the Pushcart Prize. Rosaleen’s "Point of Connection," a hard-cover book of paintings and poetry, was first published in Ireland by Bradshaw Books. Later, with the consultative services of Nancy and Art Baxter, Hawthorne Publishing in the United States, it is now distributed by Roscro and Co., LLC, Carmel, Ind. Water, nature and open spaces are constant images and the concept of “home” is a constant theme. "Exploring Cultural Identity through Irish Art and Poetry" (Roscro) was read at Global Irish Diaspora Congress at University College Dublin on Aug. 17. Now just back from Ireland, Rosaleen will share her new poems and stories. Rosaleen was in born in Cork and graduated from University College Cork. 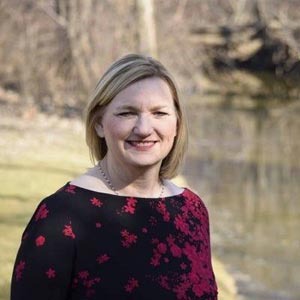 She first moved from Ireland to the South of England and then to the North of England where she taught Speech and Drama before she relocated to Carmel, Ind. 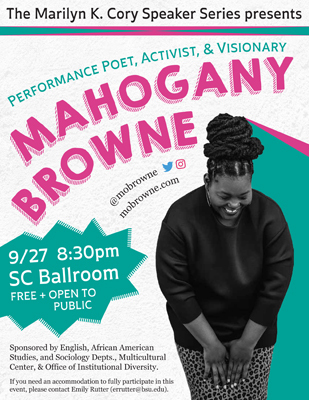 This dynamic speakers and events series makes its home in the Efroymson Center for Creative Writing. Meant to supplement the popular Vivian S. Delbrook Visiting Writers Series, it offers more intimate and interactive events from a wide range of genres and perspectives, including the graphic novel, screenwriting, book reviewing, translation, documentary, story slams, faculty readings, book clubs, book launch parties, and more. The series is intended to enrich the literary “conversation” and community in the MFA program, on campus, and in the broader Indianapolis community. All events are free, open to the public, and held at the Efroymson Center for Creative Writing, 530 W Hampton Drive, unless otherwise noted. Thursday, October 5th. 7:30 PM. "We are in a golden age of poetry" and the bounty just keeps getting better. 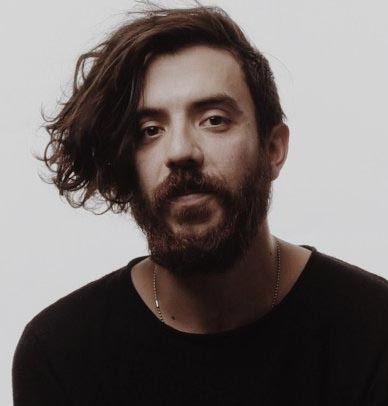 Join us as we celebrate Kaveh Akbar's book, Calling A Wolf A Wolf, published by Alice James Books . Kaveh will give a reading, flip his hair, sign books, and dole out hugs. Copies of the book will be for sale! Keep up with Kaveh at the usual places: Kavehakbar.com, divedapper.com, @kavehakbar. Light refreshments will be served.